Fishman & Fishman, LLC, provides one-stop representation for the critical issues facing people throughout the communities of southern New Jersey. What makes our law firm different from the countless firms that claim to provide outstanding service coupled with a commitment to client service? 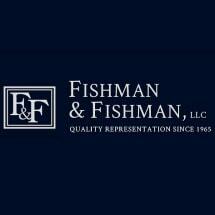 The Fishman & Fishman difference is that we provide legal services from the same attorney from start to finish. Rather than working like an assembly line, passing different aspects of your case to different attorneys and paralegals, we prefer to get to know our clients so we can have a deep understanding of the unique challenges they face. We are highly regarded for our ability to maximize compensation and benefits for the injured, including people injured on the job and people who are injured due to the negligence of others. Our ability to handle both workers' compensation and personal injury claims positions us to ensure our clients receive the best possible outcome for themselves and their families. We provide an aggressive defense against DWI charges in Municipal Court and have the skills necessary to resolve all issues associated with suspended driver's licenses as a result of a DWI arrest. We are led by Arnold N. Fishman, an attorney who has been setting the bar in DWI defense for more than 40 years. Call us toll free at 888-339-7675 to schedule a consultation with a lawyer. We will stand by your side every step of the way.